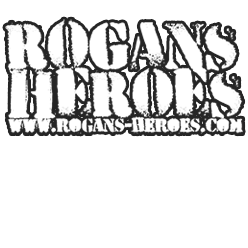 ROGANS-HEROES was established in 2017 to create the highest quality plastic resin figurines possible, working at several different model kit scales, from 120mm 1/16th scale down to 28mm tabletop scale. All resin parts are cast using the vacuum/ pressure method and silicon molds, created from models, 3D printed at 25 microns resolution (about half the width of a human hair). The vacuum/ pressure method ensures no air bubbles and top quality, highly detailed casts. It also makes it possible to have less invasive sprue attachments, making cleaning the parts much easier. Molds are also replaced regularly, as silicon molds quickly wear out. This helps avoid too many mold misalignments in casts and ensures high quality casting every time. All resin parts are thoroughly inspected before boxing.